Bill Gross main bond fund at Pimco has struggled this year as bond yields have risen. 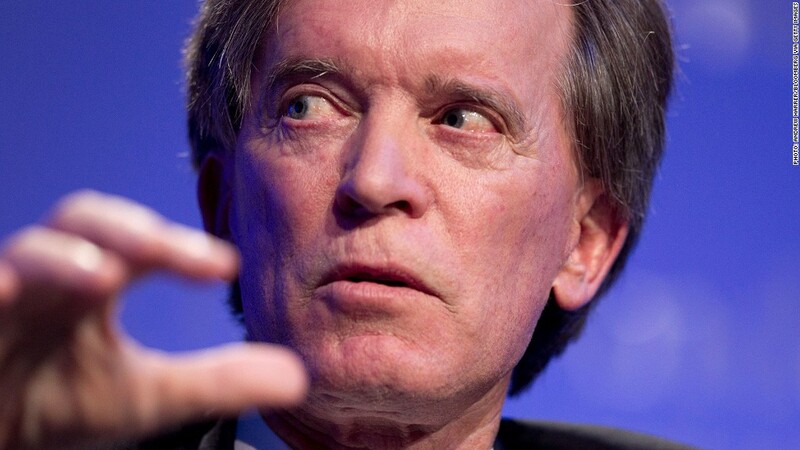 There will be life (and the possibility of lucrative returns) in the bond market after the Federal Reserve slims down its massive economic stimulus program, according to bond guru Bill Gross. Gross, the founder and co-chief investment officer of Pimco -- the world's largest bond fund -- told investors they must think differently about how to factor bonds into their overall portfolios. And running away from bonds is not the answer, Gross said in his latest monthly missive. "A significant portion of an institutional or individual's portfolio will always require bonds," Gross wrote. But investors must look for bonds that can play defense as interest rates rise. He points out that investors typically look at bond risk through the lens of maturity and think they've diversified when they have a combination of short- and long-term bonds. But in today's low interest rate environment where yields are only expected to rise, that tactic won't work. However, investors can win in the bond market by looking at other risks, including volatility, the currency bonds are priced in, and the spread between Treasuries and other types of bonds. Related: Bernanke says tapering plan not a "preset course"
Gross often waxes poetic and uses elaborate metaphors to explain his investing theses. This month's metaphor: war. Investors who still hold bonds are not the equivalent of the British army fighting the machine-gun wielding German army during World War I with horses and swords. Gross admits that both Pimco and bond investors overall have suffered losses similar to the British Army in the "Battle of the Somme." (60,000 British soldiers were killed in one day, making it the bloodiest battle ever for the British Army). But, he says, "there will always be a place for the bond market 'army'." Yields, which move in the opposite direction to price, have spiked dramatically this year. The yield on the U.S . benchmark 10-year Treasury note has jumped to 2.6% from 1.8% at the start of the year. And Pimco's Total Return Fund (PTTRX) is down 3% this year. That's a big change from the fund's historically positive returns. Over the past five years, Pimco's fund has been up 7% on an annualized basis. Gross's letters typically offer investors more tangible advice, even if that advice comes wrapped in metaphors. This time, Gross simply offers up a new way of thinking about bonds. Going forward, he says investors should limit risks related to bonds if they see the economy faltering. If the economy appears to be simply muddling along, investors should take on more bond risk. And if economic prospects look really bright, investors should once again limit exposure. Gross, of course, has a vested interested in getting investors to stick with bonds. He admits as much. He also notes that his fund has faltered. He ends his letter telling investors to "Stick with Pimco, we're going to win this new war!"